Mar16March 16, 2015 • By milkandbun • This entry was posted in Baking, Desserts, Midweek Meals and tagged baking, cooking, crumble, crumble recipe, delicious, dessert, food, food and recipe, food photo, food photography, food share, food styling, ice cream, James Martin, My Life, photo, photography, plum crumble, plums, recipe, red wine, star anise, sweet, vanilla, weekend, yummy. Bookmark the permalink. I’m sure you will like it! thank you, Marta!😘and G’Night! 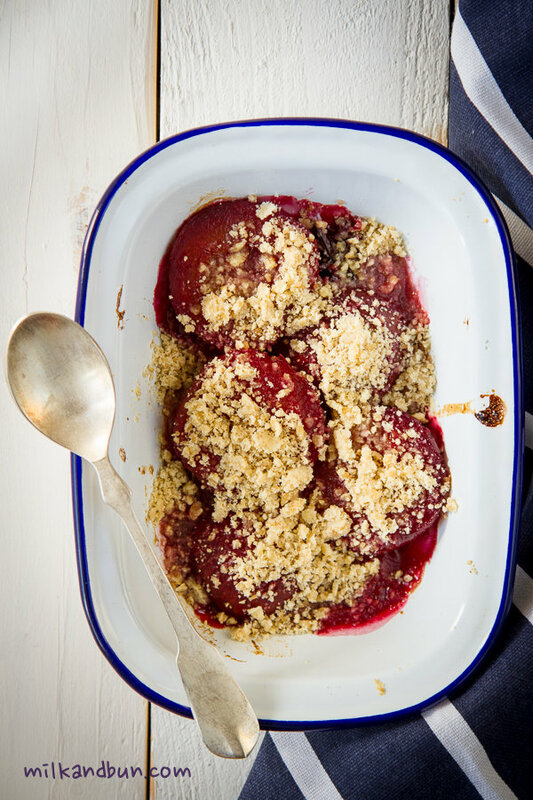 Love plums and crumbles, yours looks amazing! I love crumble and this one looks spectacular! The spices really make it unique but I can see how they’d bring out the flavor of the fruit. I would never have thought to use star anise, but it’s brilliant! This looks decadent! Crumbles are one of my favorite desserts because they come together so quickly and taste so delicious. I’ve never tried using plums before- what a wonderful idea! This looks amazing! Love the bright colors… Sounds delicious! Thank you! 🙂 and it really was tasty! This looks delicious! I know what you mean about crumbles – surely they should be the no. 1 British export by now! Plums and wine, this has got to be incredibly delicious! Wish we could get our plums to grow, time to get another tree to get the female/male germination going. I will make this soon I think! Winy plums. With wine! Looks wonderful. Winy plums have an amazing smell and taste! 🙂 Thanks for commenting! I can’t get enough plums when they’re in season and this looks like a delicious use for them! The use of wine sounds great. I’ll give this crumble a try when I can get my hands on some good plums! Thanks for sharing your recipe, Mila! I love crumbles too and they’re so good with a variety of fruits. I’ve never tried a plum crumble but this one looks great. Wow this crumble looks utterly beautiful!! And the taste.. mmm so good, too! 🙂 Thanks for visiting, Naina! amazing. looks like a well made and super delicious crumble! It is very flavourful and delicious! Thanks for stopped by, Kelsey! 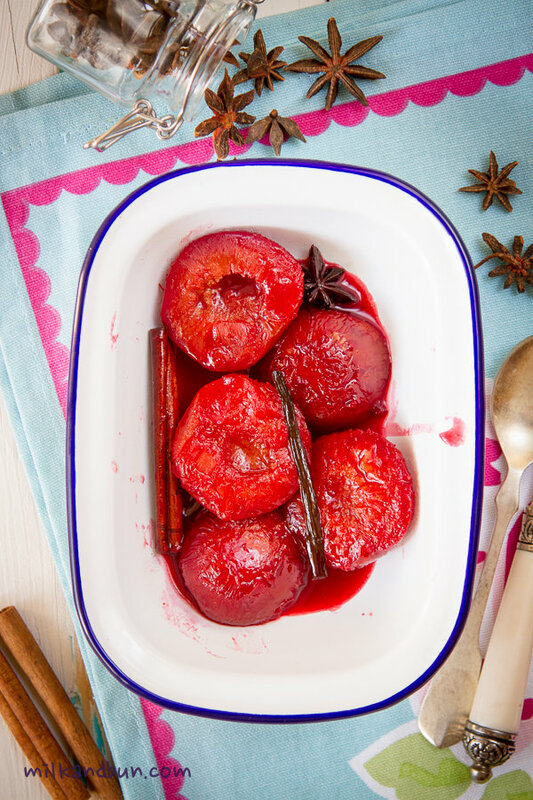 Just found this on milk and bun – love the combination of plums and star aniseed, wanted to store the recipe, and what better way of showing admiration, and storing the recipe for future reference is there, than reblogging? Well I don’t know! u are welcome looked amazing!